What’s a NEPHILIM? I thought the modern versions were supposed to be easier to understand than that “difficult and archaic” King James? 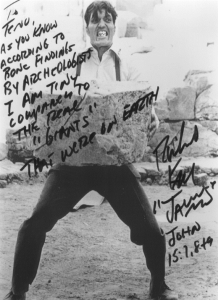 Well, what does the KJB say for Gen 6:4? Come on now. Every four year old knows what a GIANT is. Looks like the KJB wins again. Photos: ABOVE – Richard Keil, 7′ 2″ actor in James Bond movies (“Jaws”), Twilight Zone (“To Serve Man”), and other shows, who got saved later in life. 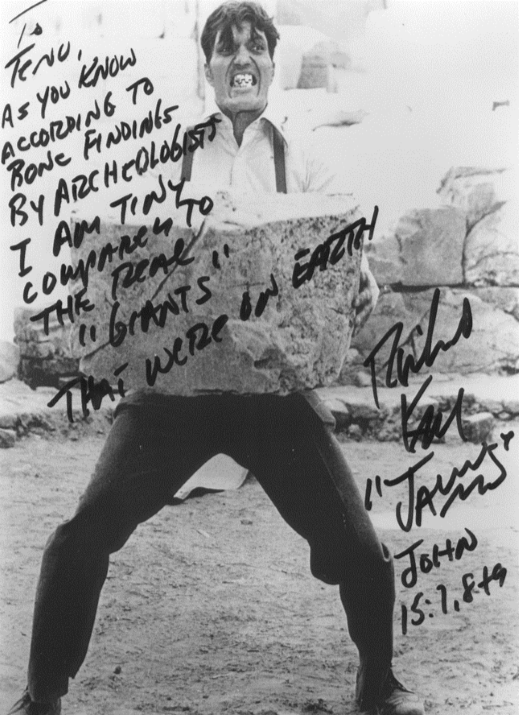 I read his testimony on the internet and wrote him a note telling him about my ministry and message on “Giants in the Earth” and he sent me this autographed and personalized photo. 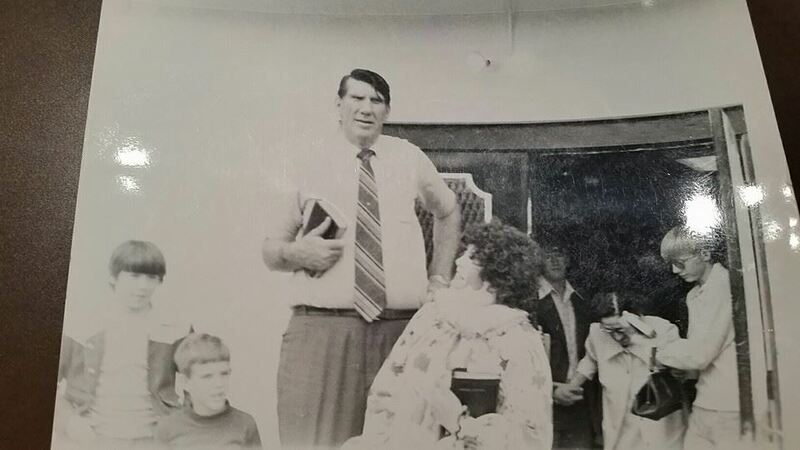 BELOW – Max Palmer, former pro-wrestler and actor who was just shy of 8′ tall, who got saved and became an evangelist. I’ve preached at some of the same churches he preached at in the 1970s, including the one in the photo. Wow I didn’t know Richard Keil got saved, that’s great. He also played the big guy in Happy Gilmore . Yep, that was him. He’s in heaven now.